This MacBook Air is in Grade C condition, It has some bad scratches and or dents on the case it may also have some light marks on the screen. These are fully tested and 100% working just not in the best condition. So you can a good spec Laptop at a good discounted price. · Graphics –Intel HD Graphics 3000 graphics processor with 384 MB of DDR3 SDRAM shared with system memory. 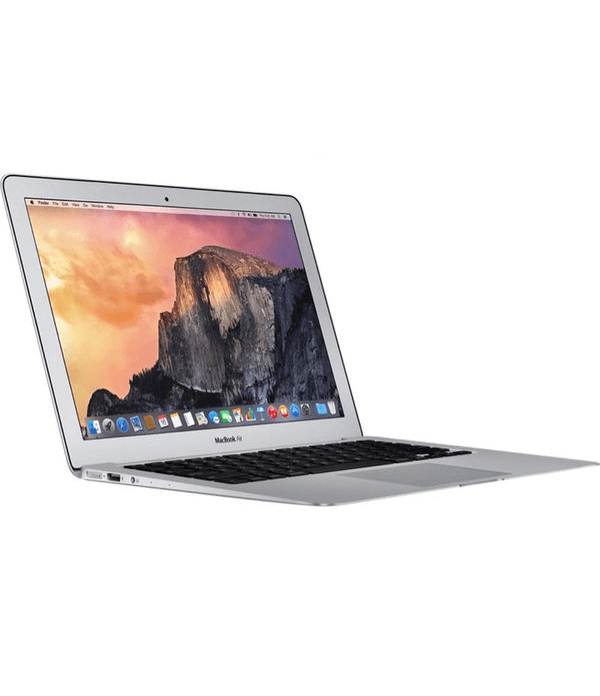 The Apple MacBook Air “Core i5″ 1.7 13” (Mid-2011/Thunderbolt) features a 32-nm “Sandy Bridge” 1.7 GHz Intel “Core i5” processor (2557M) with two independent processor “cores” on a single chip, a 3 MB shared level 3 cache, 4 GB of onboard 1333 MHz DDR3 SDRAM, 256 GB of flash storage, and an Intel HD Graphics 3000 graphics processor with 384 MB of DDR3 SDRAM shared with system memory. Connectivity includes 802.11a/b/g/n Wi-Fi, Bluetooth 4.0, dual USB 2.0 ports and analog audio out as well as an SDXC card slot and a new “Thunderbolt” port that is backwards compatible with Mini DisplayPort and likewise supports an external display at 2560×1600 and passes an audio signal as well. Thunderbolt also supports other peripherals that use the Thunderbolt standard which provides up to 10 Gbps of bandwidth in both directions. It lacks internal Ethernet (an external USB adapter was offered as a US$29 option) and lacks Firewire and optical audio in/out as well. Compared to its predecessor, this model has a very similar external enclosure, although it has the aforementioned Thunderbolt port, a backlit keyboard, and is slightly heavier. Internally, however, it has a faster processor, architecture and RAM as well as improved wireless capabilities.